Yes, the word versatility really does epitomise what the Toppers are all about! Great for adding some buoyancy to bottom baits to create critically-balanced snowman-like presentations, which will also provide your hookbait with a visual stimulus to promote fish investigation. The small size or Corn-like shape of the Toppers mean that they also make superb single hookbaits in their own right – perfect for solid PVA bag fishing or Zig Rigs. 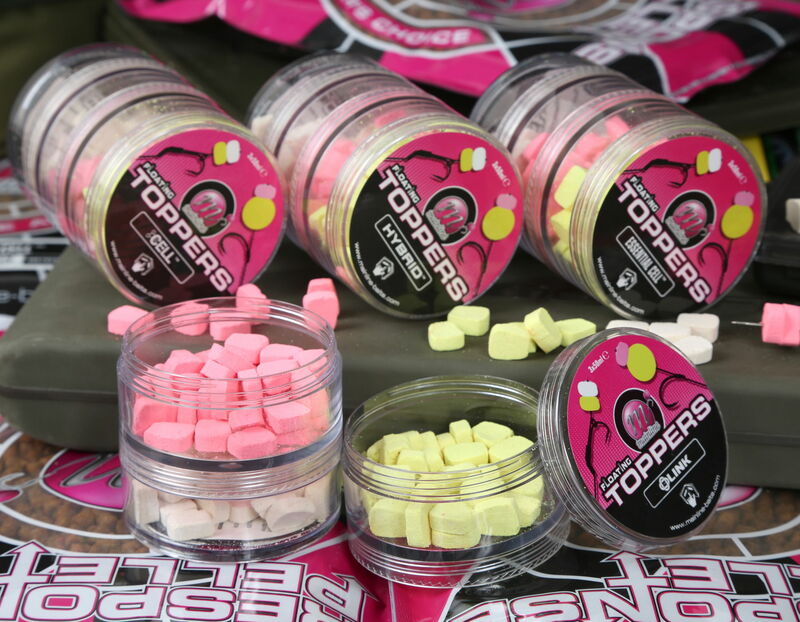 Numerous Toppers can also be stacked together for yet another hookbait arrangement, with all rig options again increased by the three colours (white, yellow and pink) supplied in a neat three section, screw together stacker pot.